Imperial porter aged on Scottish Highland whiskey barrels. Imperial stout aged on Speyside whiky barrels, icebocked with coffee, vanilla and maple. Imperial stout with the famous Dutch 'stroopwafels' added. Brewed exclusively with uber-aromatic Cascade hops plucked from the dark damp forests of the Pacific Northwest, this IIPA will actively seek out all your drillable dental soft spots. Imperial double stout brewed with a massive load of oranges and maple syrup. Dryhopped with Chinook and ice distilled twice! 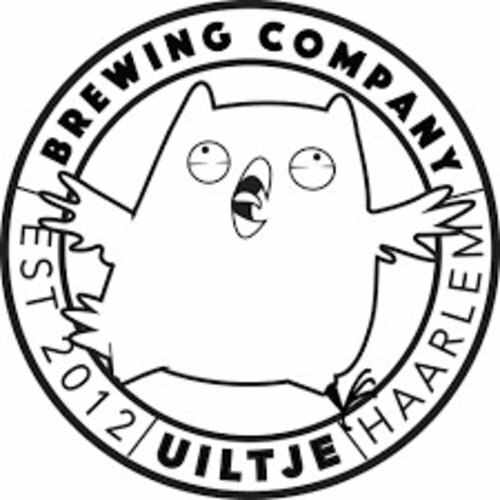 Het Uiltje is a craft beer brewery based in Haarlem, Netherlands. Their mission is pretty much monomaniacal: to brew f*cking good beer. They call it craft-y beer because the owl's got a sharp, uncompromised tongue and a penchant for mischief.